When Snooth.com approached a group of some wine writing friends and me about writing a paragraph relating to Transitional Wines Under $20 that we bring back onto our tables as summer transitions into fall, I immediately thought about Grüner Veltliner. 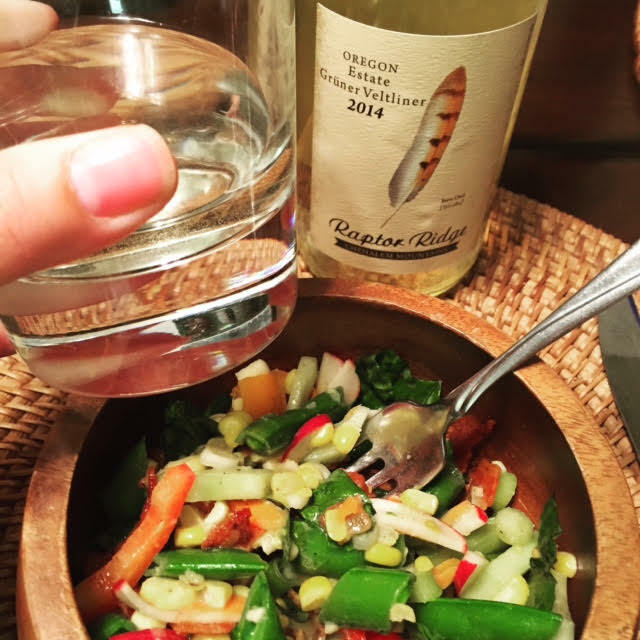 Many food and wine enthusiasts say that Grüner Veltliner is the perfect summer wine that matches perfectly with sushi, smoked fish and salads that have shrimp, scallops, crab or lobster. 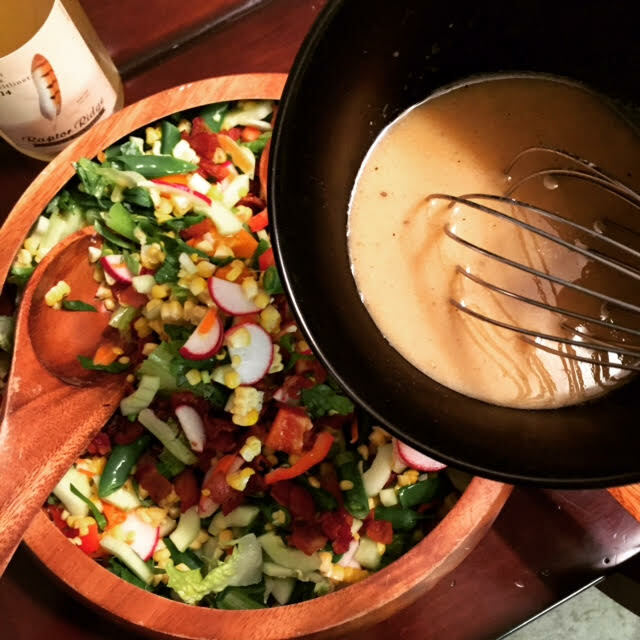 Although I wouldn’t spend any time arguing about these pairings, Grüner goes well with many foods, the one food that is rarely mentioned as a lovely match is late summer fresh corn, making Grüner Veltliner the perfect late summer/early fall wine. 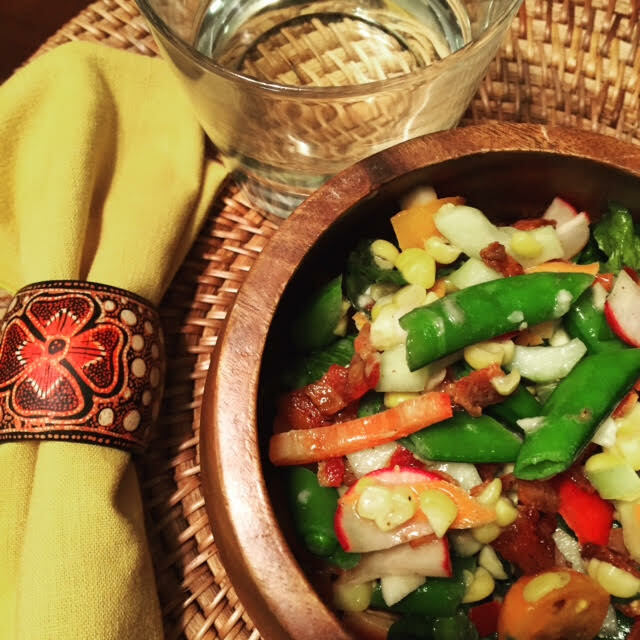 Because of the herbal undertones and Grüner Veltliners famed white peppery notes, I wholeheartedly think it’s one of the best matches to vegetable-based dishes, especially dishes that include our late summer locally grown (here in the Willamette Valley) Bodacious Corn. Bodacious corn is truly blissful, it’s the best corn on earth, hands down: huge juicy kernels burst with sweet juice in every crunchy bite. 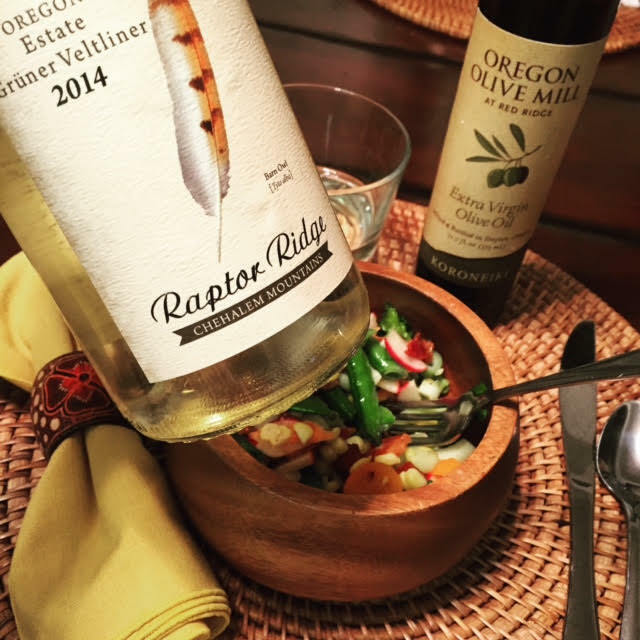 One of my favorite late summer meals is Bodacious Corn, Snap Pea and Bacon Chop Salad paired with the ever-delicious Raptor Ridge’s 2014 Grüner Veltliner (read more about this wine on Snooth.com). Combine first 4 ingredients in a bowl. Whisk in oil; stir in salt and pepper. 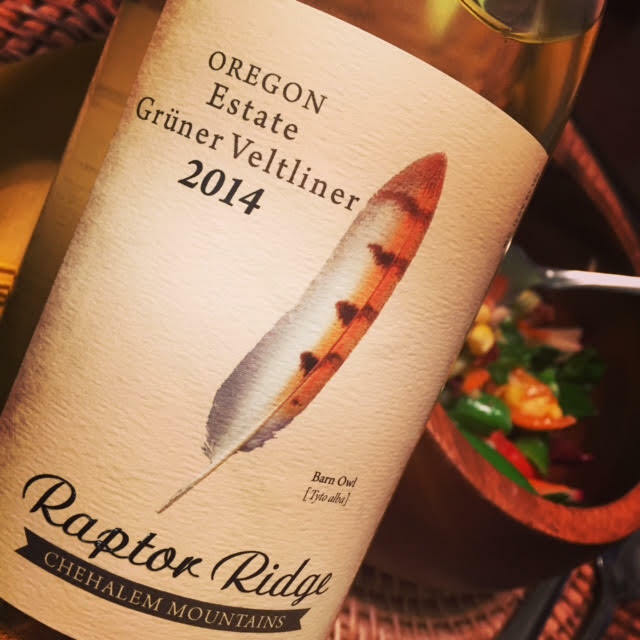 Pour a chilled glass of the Raptor Ridge 2014 Grüner Veltliner and savor every sip and bite.